We’ve heard from many of our largest customers that it’s critically important to them to have easy access to information that helps them understand how their employees and partners are using Azure Active Directory. That understanding allows them to plan their IT infrastructure, to increase usage and maximize the business value they get from Azure AD. 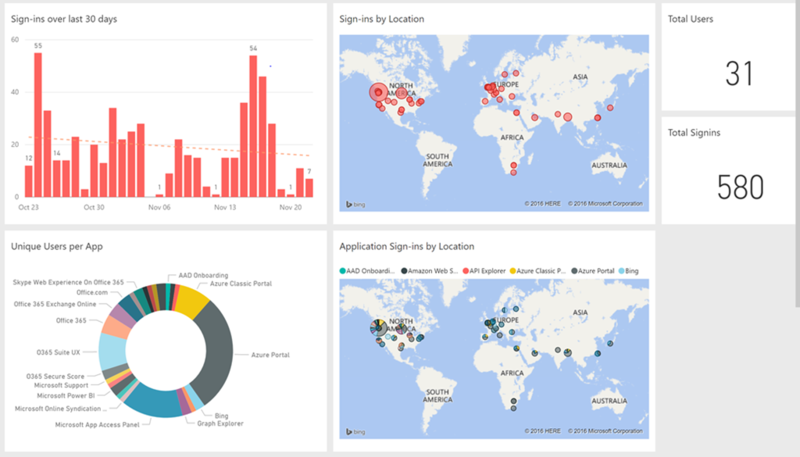 The usage and activity reports in the Azure admin portal are a great starting point for accessing and digesting usage trends. 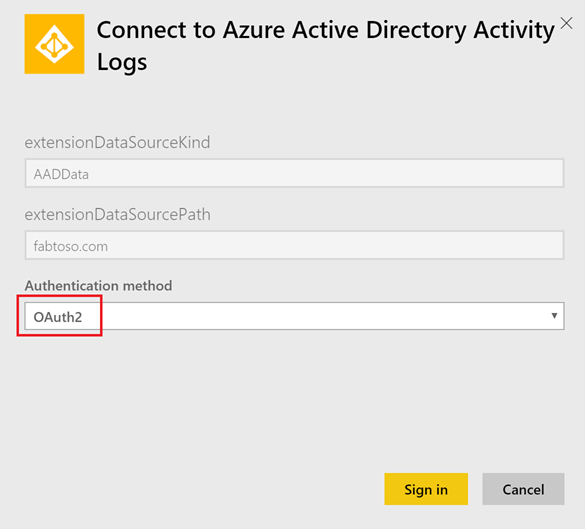 But many of you have told us you want the ability to gather richer insights into what’s going on with the various capabilities you rely on in Azure Active Directory. 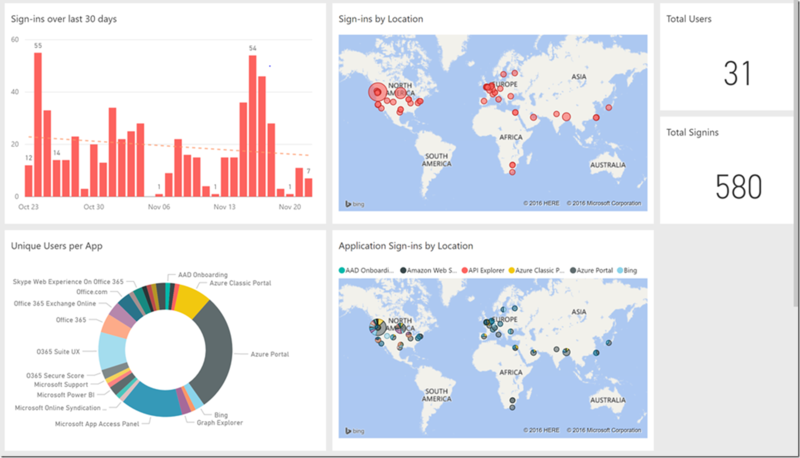 So, today I am excited to announce the preview of the new Power BI Content Pack for Azure Active Directory! 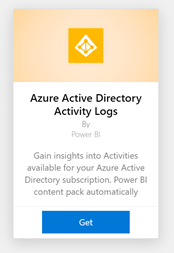 With this integration of Azure Active Directory APIs with Power BI, you can easily download pre-built content packs and dig deeper into all the activities within your Azure Active Directory, and all this data is enhanced by the rich visualization experience Power BI offers. And you can create your own dashboard and share it easily with anyone in your organization. 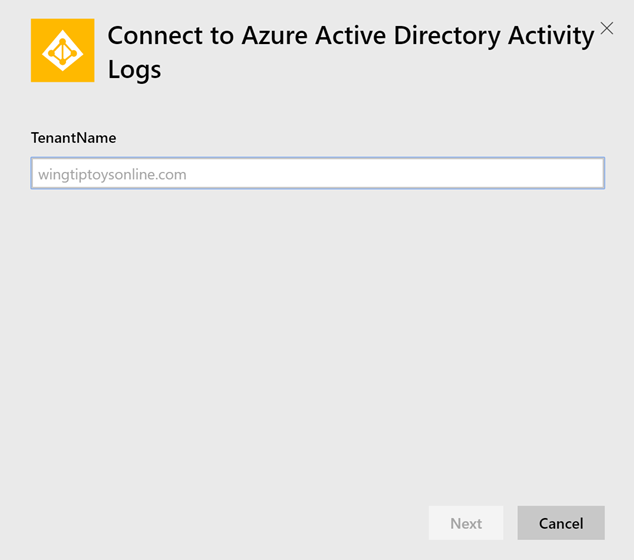 Select Azure Active Directory Activity Logs > Get. We support both basic and Federated authentication. Ensure that the user trying to download the content pack has Security Reader or Admin permissions to access the content pack. If you want to choose Federated Authentication, select the Authentication Method as “OAuth2”. 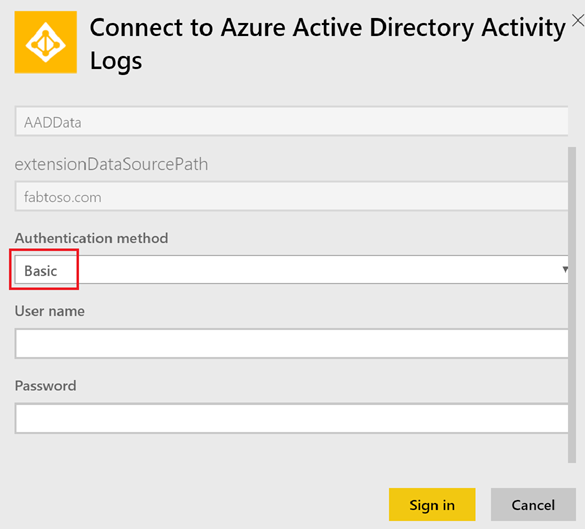 In order view to sign-ins logs in the Azure Active Directory Activity content pack, you need Azure AD Premium to access the data. See more details. Please Note: Some users with MFA enabled accounts are having issues authenticating using the OAuth2 option. The currently available workaround is to use "Basic" Authentication or an account without MFA enabled. Give these new features a try and let the AAD Reporting team know what you think! We read every piece of feedback to make sure the Azure AD administration experience is top-notch, so let us know what works for you and what doesn’t. I look forward to hearing from you!